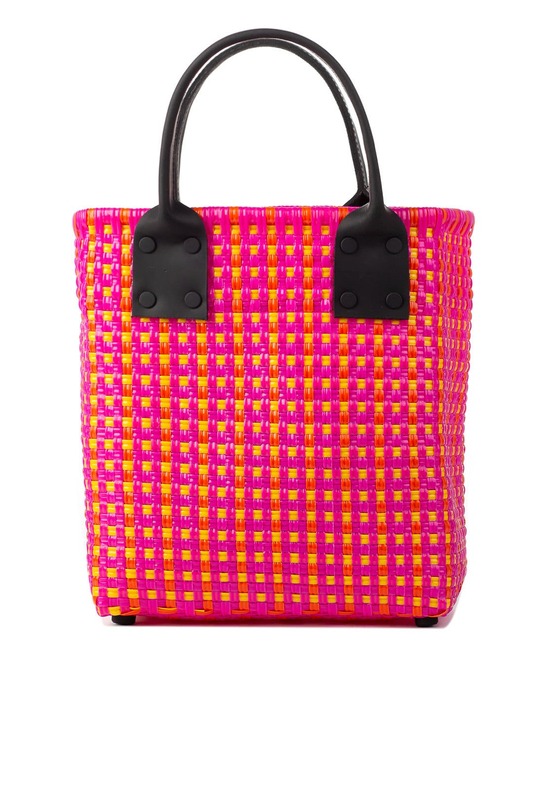 Make any day a little brighter with this woven Truss tote detailed with signature matte black hardware. 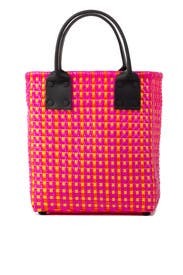 Bright pink and orange plastic woven tote with leather top handles. Open interior. 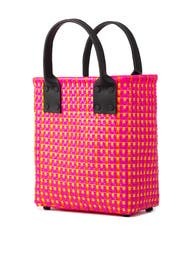 9.85"H x 9"L x 4.3"D.